At first, I found it strange that the organizing team of the Triangle event I facilitated on June 12-14 pursued a "trailblazers" edition. Initially I had thought the team wanted to create a diversity-themed event similar to the one I had facilitated in Miami just two weeks prior. I learned quickly that the rationale behind that branding had to do with the perception of the world "diversity" as potentially not ideal. The term "Trailblazers" alluded to the multiple pioneers that have come from all walks of life in North Carolina, but not directly to women, people of color, or other underrepresented peoples. Do people actually feel excluded when an event calls for diversity? Do people not want to be part of an event that prioritizes diversity? After 10 Startup Weekends as a participant, volunteer, organizer, and facilitator, I've come to not only appreciate the diversity of each event - I crave it. The greatest killer of an event is monotony - if it looks and feels the same as it did before, it will lose its luster. Below are some key lessons I learned during my time in Raleigh, Durham, and Chapel Hill that weekend. 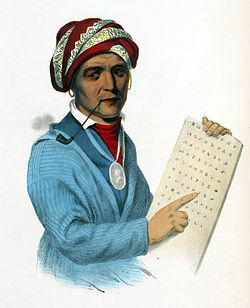 Sequoyah - creator of the Cherokee alphabet, which allowed for increase communication between and across Native American peoples. 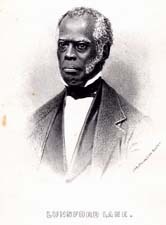 Lunsford Lane - born into slavery and invented a special tobacco that raise enough money to buy his freedom. 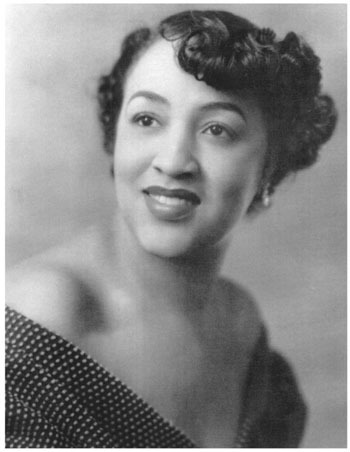 Mary Beatrice Davidson Kenner - inventor of 35 products and holder of five patents, granted retroactively as she was denied previously for being a black woman. I felt it was important to tell these stories as well in Durham at the event. Innovation can truly come from anywhere, but it takes a special drive to push it forward. I was truly captivated by the beauty and sprawl of the downtown Durham innovation sector. Everything from American Underground to the Iron Yard is all within walking distance, and the community is very familiar and well-integrated. I can see why the Triangle has been selected for the location of the next UP America Summit in September. It has everything the country could want and so much more! In all of my Startup Weekends, I've never seen a more impressive, academic, and professional group of people that I did at Triangle Trailblazers. In this photo, I estimate there are at least twelve or thirteen advanced degrees and over one hundred years of professional experience. Moreover, they ran their even with aplomb. Excellent communication, precision, and consideration for the needs of the community. Great, great work! This event was attended by nearly equal parts female and male and predominately people of color, particularly African and Latino American. Also like in the Miami event, the Triangle event brought out another underrepresented group: the differently-abled. Two teams that hoped to aid the visually-impaired worked from start to finish during this competition, with one app - The Blank App - going on to win the AT&T Special Award for Connectability. It's great to see Startup Weekend bring out the best of ourselves, regardless of whether it is convenient or profitable. With the recent Techstars acquisition of UP Global, there are many community leaders such as myself who are left with several questions about the future of the organization. While tax incentives and financial strategies are important, I think the preservation of UP Global's Burning Man-inspired philosophy of "radical inclusion" should be at the forefront of the discussion. To me, prioritizing diversity should be self-evident, and it should not ever be a point of contention. However, until our communities evolve to that point, we'll just have to stay vigilant. From the bottom of my heart, I thank the Triangle Trailblazers team for inviting me out to be a part of their special event, and I'll see everyone in September. Lee Ngo is a community leader and facilitator based in Pittsburgh, PA.
T-Minus 6 Hours! Come Hungry and Leave Inspired!